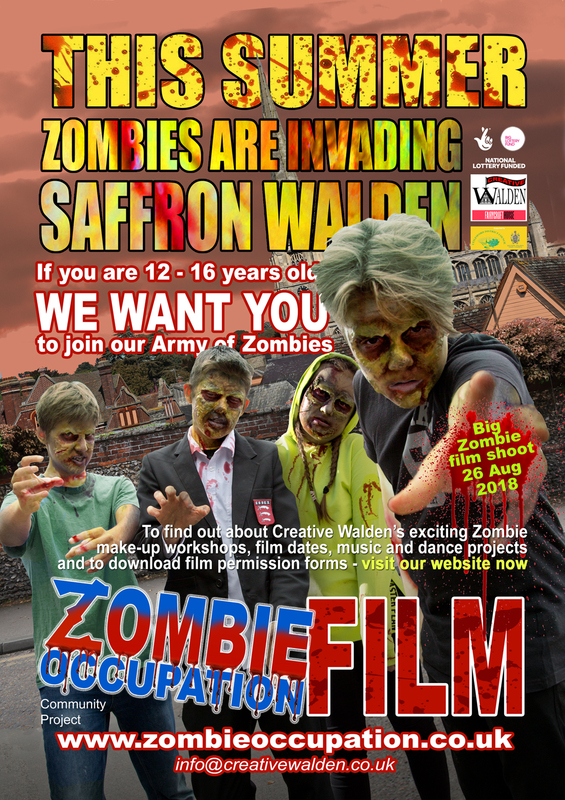 Creative Walden launch new Zombie film and website. Backed by The Natioanl Lottery, Creative Walden have embarked on a community wide Zombie film project that will encompass Music, dance, make-up workshops, acting, filmmaking, writing and set-design. 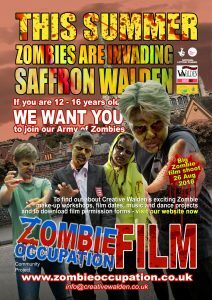 Visit our Zombie website www.zombieoccupation.co.uk for further details including a dance project and make-up workshops backed by Utllesford and Saffron Walden Town Councils.